Hello, this is continuation of my previous article on Introduction To Redux – Technical Definitions For Beginners and How to use Redux in React (Typescript) – Adding Important packages. In this article we will see how to setup folder structure for React Redux application especially if we use Typescript. I hope the below folder and file structure will help and make your development easy to understand and easy to work. Let’s give short description on each folders and files that will give more knowledge. Well, this folder is nothing to do with Redux. It is meant for any api call where you want to make in your application. So this will have functions which are making api calls. It contains react component where you can have design of your component and other lifecycle methods for your component. File with extension .tsx is used when we want to render, for the functionality we can still use simple .ts file. Again, this folder is nothing to do with react or redux. I use this folder to have constant values and config settings. In models we have interfaces of props and states where we define the structure of your props and state. In store we define and configure the Store which can be used across the application, also we can specify initialState which holds initial value of our store. Here, for styling I have used SCSS and we can provide our styling and other stuff related to styling like .ico and images can be put in this folder. 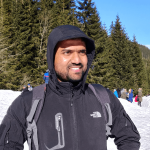 The template of this project is available in the github -> https://github.com/ahamedfazil/react-redux-ts-sp this has connection to SharePoint using sp-rest-proxy, which is used to access SharePoint resources for development.